We’d like to start testing pre-release versions of our Android app on customers to get feedback on new features. Keen to become one of our test pilots? 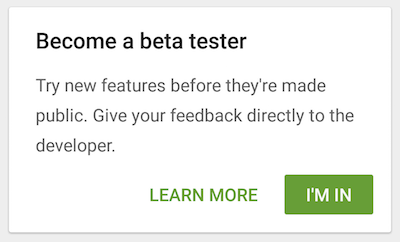 To get the ‘beta builds’ (that’s what we call our test versions) you need to opt-in to become a beta tester in the Play Store. 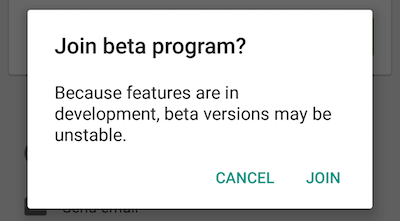 After that, you’ll get the beta builds delivered to your Android device, just like a normal app update from the Play Store. Please note that this is a beta version of the Powershop app which is still a work in progress, meaning that while you get to play with all the whizzy new features first, there may be some functionality issues or pesky bugs lurking around. This app is provided to you on an “as is” basis and you bear the risk of using it. However, rest assured that if using this app causes any detrimental changes to your account or billing, we will try and fix it up quick smart. One of the reasons we are doing these beta tests is so we can find out about any of these glitches or teething problems before we release our app updates to the world. If the bugs get to be too annoying you can opt out at any time and go back to using the normal app. Open the Play Store app on your device and find the Powershop AU app. Scroll down to the very bottom of the Powershop AU app details page. Above the developer information section, you’ll see an explanation of how the beta testing functionality works. 4. Tap the ‘I’m in’ button and then the ’Join’ button on the next popup window. 5. The developer information section will update to show beta signup in progress. This can take a few minutes to complete, best to go get a coffee then check back after! 6. After beta signup is complete, you’ll see a new banner at the top of the Powershop AU app details page indicating you are now a beta tester. If you scroll down to the bottom above the developer information section, it’ll also show you’re a beta tester. 7. 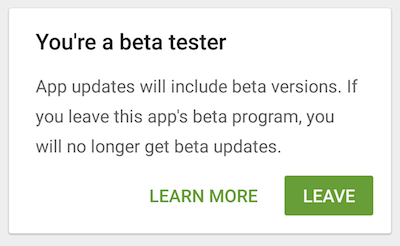 If there is a new beta app available you can download and install it. 8. Beta builds of the Powershop app will show in the Play Store just like normal apps. If you have the Auto-update apps setting enabled then they will install as soon as they’re available. 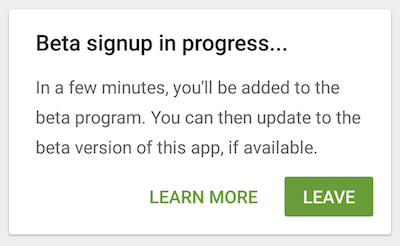 To change your update settings, follow the steps provided by Google Play Help. To send us feedback on a beta build of the Powershop AU app (e.g. if it keeps crashing on a certain screen or you want to comment on the new features, etc.) go to the Powershop AU app details page. Underneath the screenshots section, you’ll find a feedback section. Post your feedback here and we’ll look into it! Note: If you opt-in to the Powershop AU beta app, you won’t be able to leave public reviews on the Play Store. If you no longer want to get beta builds of the Powershop AU app, you can opt-out of being a beta tester. 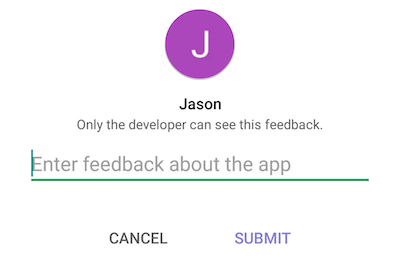 Tap the ‘Leave’ button above the developer information section. One comment on "Become an Android Beta Test Pilot"